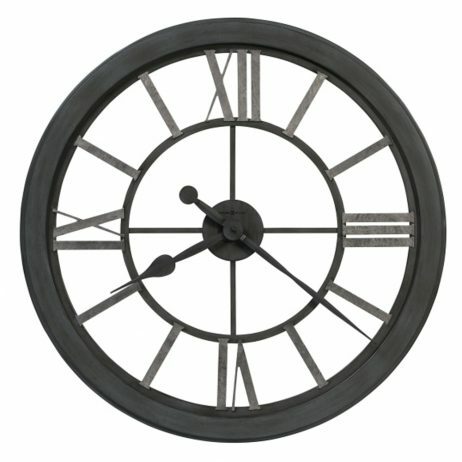 This 30″ diameter wrought iron wall clock is finished in iron gray and features silver-finished hour markers and applied Roman numerals at the 12, 3, 6 and 9 positions. The hour and minute hands are finished in iron gray. 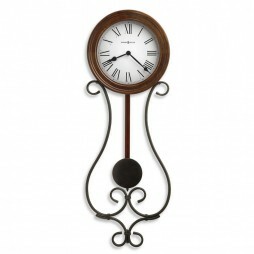 Wrought iron finished with antique gray and Americana Cherry frame around the dial makes this clock one of its kind. The curved lower panel gives the quartz pendulum an aesthetically pleasing look. The large Roman numerals along with fashionable spade hands add to the grace of the timepiece. The quartz movement means you just add batteries and set the time; there's no need to wind this clock to maintain the time. 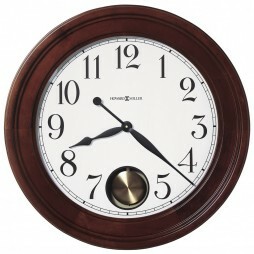 This decorative wall clock will definitely enhance the beauty of any barren wall. This timepiece is a perfect blend of classical design with a modern touch. The hardwood frame complements the design of this masterpiece. 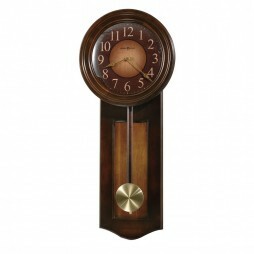 The spun antique brass finished pendulum gives a classic feel to this masterpiece. Arabic letters on the dial with black spade hand makes this piece more attractive. This classical piece is perfect for decorating living area as well as your office cubical. 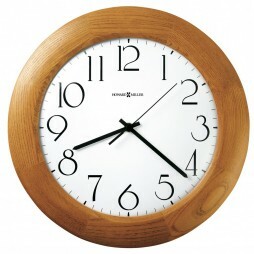 Handsome oak wall clock with a wood bezel and a crisp white dial. Black Arabic numerals and hands are covered by a convex glass crystal. Champagne Oak finish on select hardwoods and veneers. Quartz, battery operated movement.